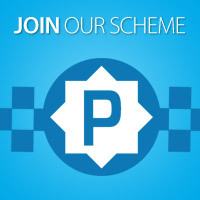 Park Mark and the Safer Parking Scheme is owned by Police Crime Prevention Initiatives Ltd on behalf of the police service and managed by the British Parking Association. Police Scotland is the professional voice of police leadership in Scotland. We work in partnership with central and local government to set strategic objectives for policing in Scotland and to deliver better integrated services for Scotland's communities. The principles have been proven to achieve a reduction of crime by up to 75%, and criminal damage by 25%. 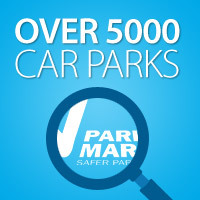 We have over 450 members with over a 1000 products that meet our high security standards from windows and doors to bike security and forensic marking. Secured by Design provides crime prevention advice for home owners and tenants. The Scottish Business Crime Centre is a non-profit making organisation created in 1996 under the Business Crime Reduction Strategy for Scotland, to establish a unique partnership approach between the Police, business community and Government. The summer edition of the Scottish Business Crime Centre newsletter is now available. The quarterly publication contains advice, local updates and news. This edition also features a farewell from the executive director Alan Dobie who is retiring after eight years at the SBCC. The Crime Prevention Website is a free access information website developed by former Metropolitan Police Officer, Crime Prevention Design Adviser and author, Calvin Beckford. Visit the library - containing links to documents, books and organisations and online available security standards, policies, codes of practice, technical specifications, guides, building reguations and Acts of Parliament. It also references a wide number of security standards that can be purchased online.